Zhangjiagang Future Boiler Manufacture Co.,LTD is a high-tech enterprise engaged in design and manufacture of boiler.The company holds the manufacturing license of Grade C,which is approved by the General Administration of Quality Supervision,Inspection and Quarantine of the People's Republic of China(AQSIQ),and certified the quality management system certification of ISO9001. 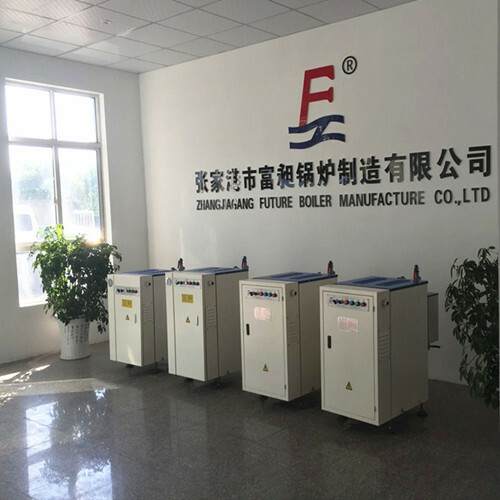 Future Boiler specializes in Electric steam boiler,Oil(Gas) fired steam boiler,Electric hot water boiler,Oil(Gas) fired hot water boiler,Organic heat carrier boiler,Marine boiler and Boiler accessories & auxiliary machines.We satisfy the requirements of different customers to a maximum extent. In the last few years ,we brought products development and sales into the field of high-tech energy conservation and environmental protection. The company enjoys a good reputation in domestic and foreign-funded enterprises by the outstanding quality,the consummation service,our products already exported to more than 50 countries and regions,including American,European and other developed countries.Continues growing market needs numerous innovative product concepts. "Chariness,Carefulness,Patience and Permanent fine quality" is our company's entrepreneurial spirit, which is embodied in our sustainable progress,embodied in getting along with customers,partners ,internal staff and competitors.